Freelance content guy for tech and apps. Tech coach and consultant. MacLife columnist, previously Macworld and Ars Technica. I run finertech.com and talk business, video games, and social issues. I like my humor dry and bourbon neat. Maybe I'm biased because I'm a writer, but when it was announced in 2010, the iPad struck me as a device which could become a great tool for, amongst many things, my craft. 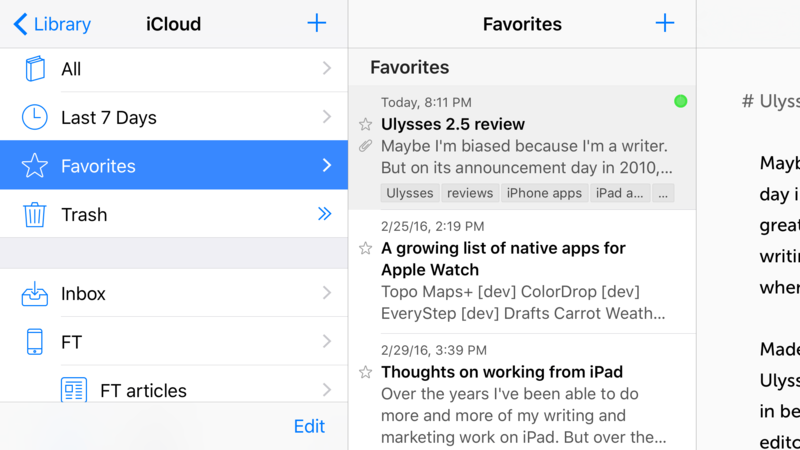 A number of good writing apps (and accessories) have appeared in that time, but when I found Ulysses about a year ago, something clicked. Made by an 11-person team in Germany called The Soulmen, Ulysses is pitched to authors, bloggers, students, and every writer in between. Much more than a typical 'distraction-free' Markdown editor that hooks up to Dropbox, I think of Ulysses as a writing environment. It has a full suite of tools including a post-Finder document system, the most thorough Markdown shortcut keyboard I've ever seen, the ability to split and merge documents, a unique approach to attachments, and so much more. 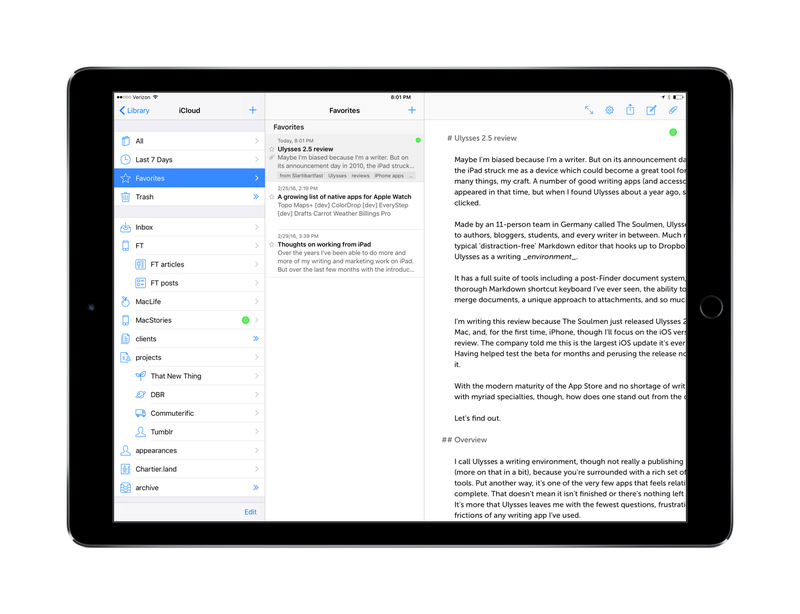 I'm writing this review because The Soulmen just released Ulysses 2.5 for iPad, Mac, and, for the first time, iPhone, though I'll focus on the iOS version for this review. The company told me this is the largest iOS update it's ever released, and having helped test the beta for the last couple of months and perusing the release notes, I believe it. Surprisingly, not only is this major upgrade that makes the iPad edition universal, it's free to existing owners. With the modern maturity of the App Store and no shortage of writing apps with myriad specialties, though, how does a premium app stand out from the crowd?